I told you I wasn’t doing Brick. 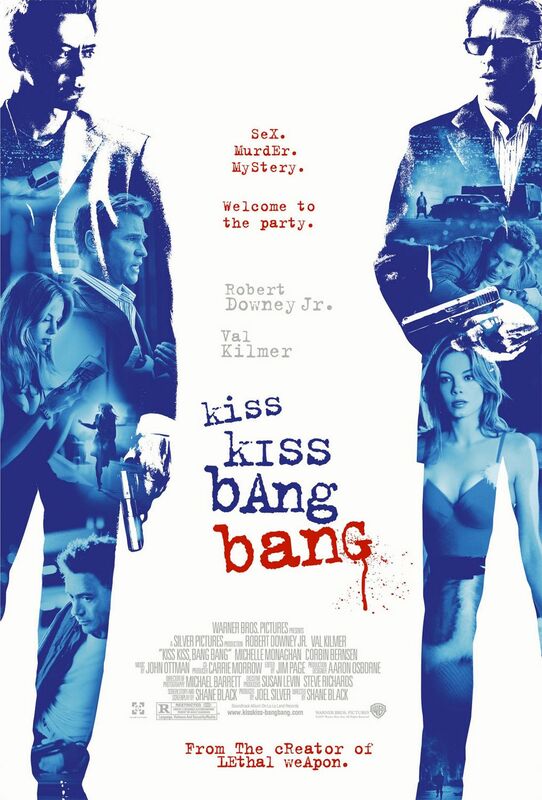 Kiss Kiss Bang Bang (okay, let’s just go with KKBB) is such an odd little film that really not enough people have seen. I don’t know why – it’s funny, there’s some action and deadgirl nudey bits… maybe it’s just too weird. Alright…where to begin… It’s the story of Harry Lockhart (Robert Downey, Jr.), a criminal-turned-actor-on-the-fly who shadows real life private investigator “Gay” Perry van Shrike (pre-whale Val Kilmer) for a supposed role, eventually running into a real-life murder case with plenty of twists and turns – and I can’t emphasize “twists” enough. Stuff gets pretty messed up, but I’m sure you’ve seen weirder. As you can tell, this story is crazy-layered, just like the film noirs of old. What’s great about this film is that they took the film noir motif and modernized it just enough to make this film fun and unique. Oddly enough, Downey’s not the guy who steals the scenes – Kilmer takes his character and runs with it, producing some great one-liners on the way. A Boondock Saints joke would be too easy. I know it’s lame of me not to disclose more detail, but KKBB is really a movie that you need to experience. 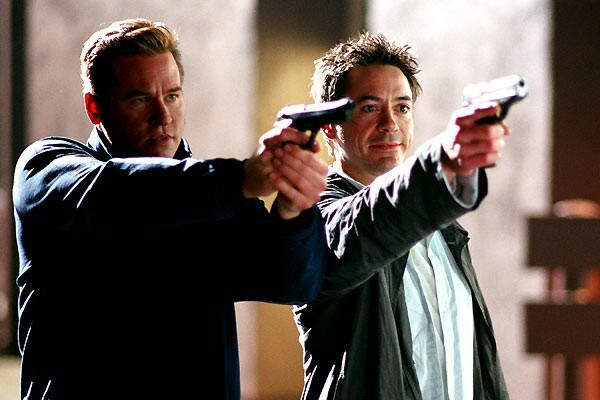 Watch for the dark and cheeky film noir lens, stay for the Downey/Kilmer bromance. For my next What You Should Have Watched… hmm… I’m feeling saucy. Let’s show Martin McDonagh some love. Posted on March 8, 2013, in Feature, What You Should Have Watched and tagged action, comedy, crime thriller, film noir, LGBT. Bookmark the permalink. 1 Comment.